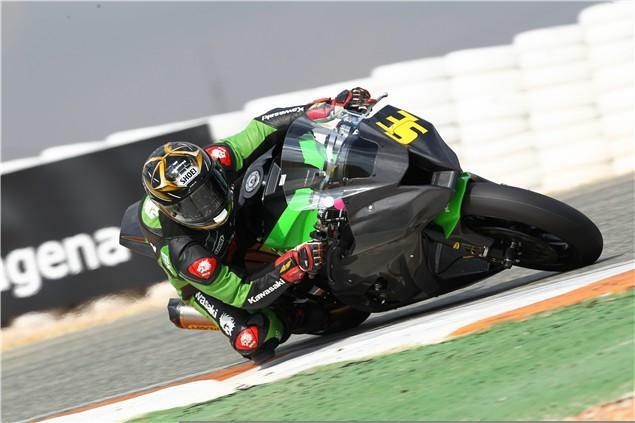 The Ninja ZX-10R was extensively tested by the official Kawasaki British Superbike team in Cartagena, southern Spain. 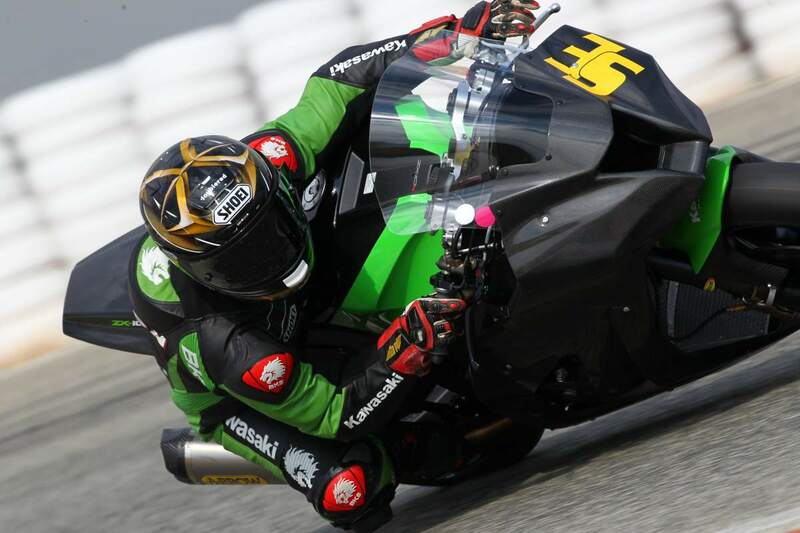 Four riders were let loose on the Ninja ZX-10R with their own individual targets. Superstock duo Danny Buchan and Howie Mainwaring had to get a low of ‘1:37’s’ and the Superbike riders Stuart Easton and Gary Mason had lows of 1:34 and 1:35 due to it being their first test of the new model. 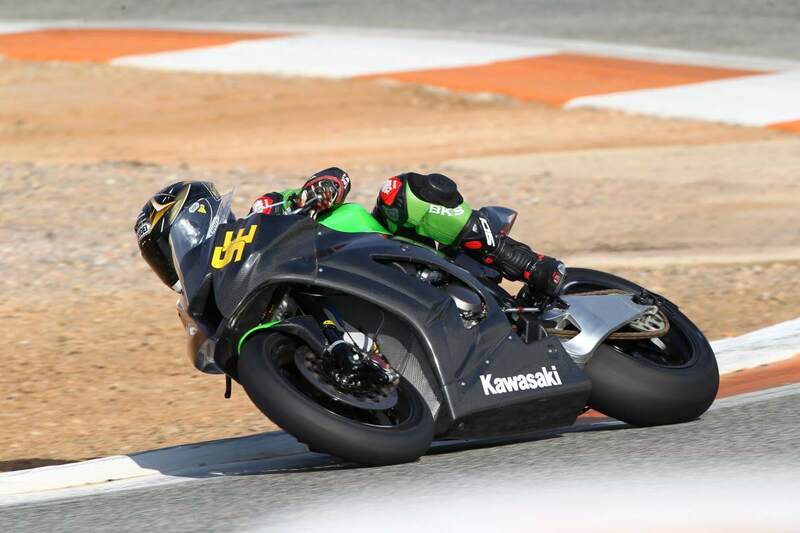 The session gave the team good mileage on the new Ninja ZX-10R. Team leader Nick Morgan was happy with the days events and said, “Very positive first test for the team, obviously it’s easy to get fixated on the times from these outings against other BSB guys but we have a radically new model that needs methodically testing for settings which is what we’ve been doing. We set and exceeded our targets for the test in terms of new model familiarisation, rider development and mileage so very happy so far." "The Superbike is effectively an Evo bike as the engines are still being worked on and we didn’t even run a generator whilst the Superstock machines are still trackday bikes with an end can, its that early for this new model but we can see massive potential in the bikes. The riders and team are working well, we have no egos and we’re looking forward to more track time in Portimao and then back in the UK,” added Nick.